A naturally charming country boy with a fantastic singing voice from a small village in the North West of Ireland, Seamus O’Hara lands on our top 10 list of Crowd Academy Graduates. Seamus began his professional career in telecommunications for the Irish Army during the early years of cell phones. Seamus went on to spend over twenty-three years with the United Nations and the European Union in peacekeeping missions and International Criminal Tribunals working in telecommunications, IT and information security. While Seamus’ software development experience can be described as “practically none,” he possesses a keen interest in blockchain. 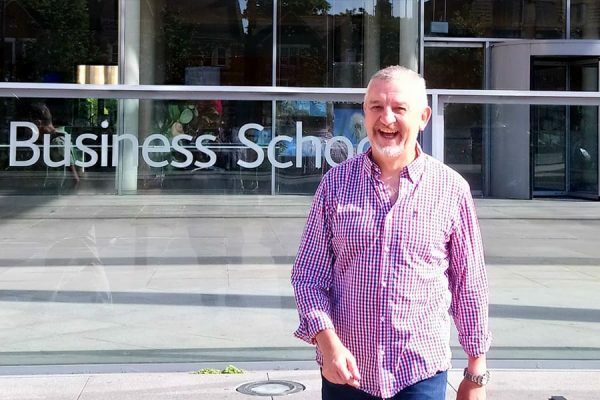 This interest led Seamus to the Oxford Blockchain Strategy Progamme where he was introduced to Crowd Machine CEO Craig Sproule, and Crowd Academy. Seamus has embarked on defining his own goals in app development including an application that surveys leading experts in the blockchain field to identify those ideas and early stage projects that have the best chance of being realized successfully. Seamus also wants to have fun and experiment with IoT devices, now that he has ‘the bug,’ or shall we say, the Crowd Machine no-debugging required method.